Over-boiled mulled wines, made with headache-inducing quantities of sugar, have long given this holiday classic a dire reputation. This version, from Walkers Maine restaurant in Cape Neddick, Maine, is gently infused with nutmeg, vanilla, and star anise, then lightly sweetened with honey and maple syrup. 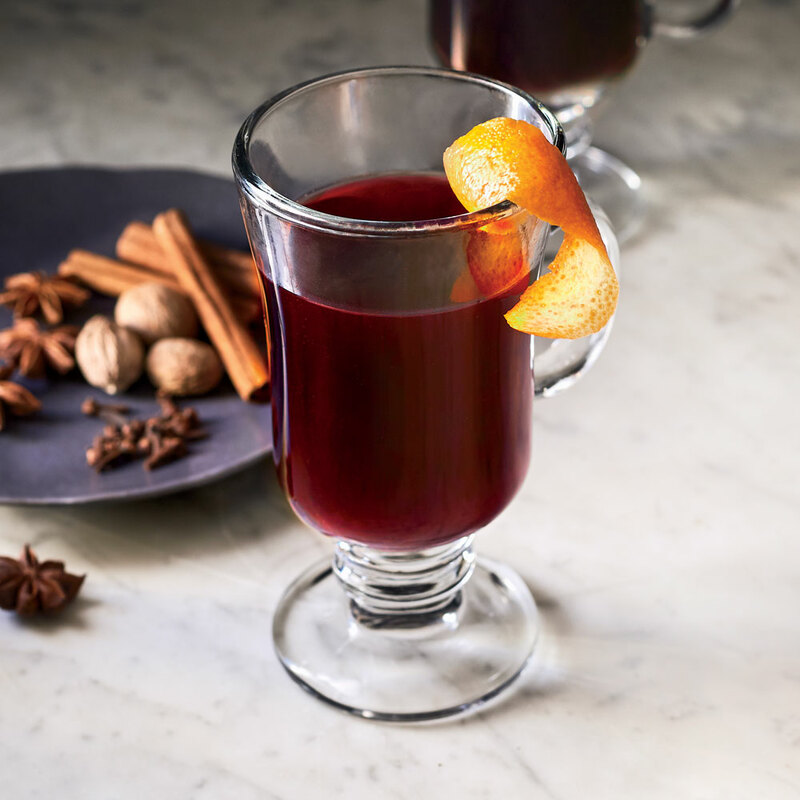 The result is a concoction you’ll want to sip all winter long. Heat cloves, star anise, cinnamon sticks, and nutmeg in a small skillet over low, stirring often, until toasted and fragrant, about 5 minutes. Transfer spice mixture to a large saucepan over medium-low; stir in wine, orange peel strips, vanilla bean pods, maple syrup, and honey. Slowly bring wine mixture to just below a simmer, stirring occasionally, 15 to 20 minutes. Remove from heat, and let steep until spices bloom and infuse into wine, about 30 minutes. Return saucepan to medium-low; stir in applejack, if desired, and continue to cook, stirring occasionally, until warmed through, about 5 minutes. Pour mixture (through a fine wire-mesh strainer, if desired) into a large heatproof bowl. Ladle mulled wine into glasses.